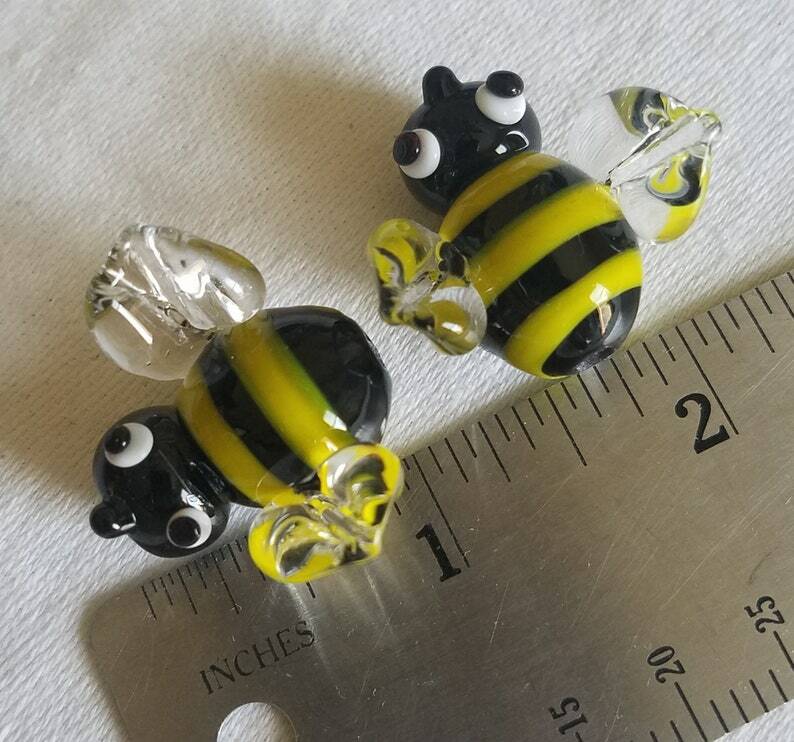 An adorable little Bee bead completely handmade from glass. These 'Large' bees measure on the average about 24-26mm hole to hole and have about a 28-30mm wingspans. See photos. Worked on 1/8" mandrel - 2.5mm hole. Each Bee'd is made one at a time. If you'd like a PAIR that are very similar just mention that too ! Digitally Annealed for strength and durability and hand cleaned. All beads are properly annealed in a digitally controlled kiln for lasting durability ~ each bead is then cleaned and inspected by me. Packaged and shipped for a safe journey. You can shop from a larger collection of my work here at http://www.etsy.com/shop/ninibeads?ref-si-shop.